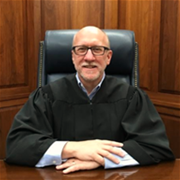 Judge Timothy A. Williams serves as the Probate Judge for Washington County. The position is an elected, non-partisan office with a six-year term. He was first elected in February 1997. The Probate Court has jurisdiction in estates, guardianships, trust, adoptions, mental commitments, wrongful death cases, minor settlements, and name changes. The Court also issues all marriage licenses for Washington County. The Judge and his staff are dedicated to serving the public in a professional manner. However, the staff of the Probate Court is prevented by law from practicing law, and are therefore limited in the amount of advice that they are permitted to give. All efforts will be made to help the public within the constraints of the law. The day-to-day operation of the Court, including supervision of all employees, is managed by the Court Administrator, Rae A. Ward. Ms. Ward holds a National Certificate in Court Management from the National Center for State Courts. If you have questions or concerns about the operation of the Court, please contact Ms.Ward at (740)373-6623 Ext. 2402.